Air Scrubbers are ideal for cleaning air within the workplace. Air is drawn through a combination pre-filter (which removes large particles) and a micro (HEPA) filter. The HEPA filter separates out up to 99.995% of small particulates. 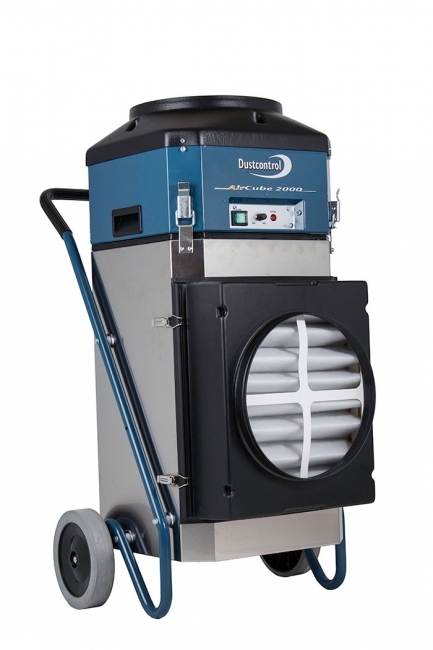 Air Scrubbers are most commonly used freestanding (see picture of the DC 2000 Aircube as an example) and they return the cleaned air directly back to the workplace. 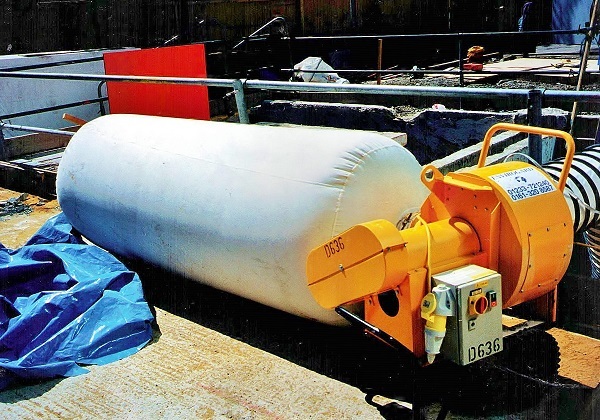 Many of the Air Scrubbers in our hire fleet can also be used with flexible ducting for localised spot extraction. They can also be used to extract and discharge air from workplaces which must be kept under negative pressure - achieved using a flexible hose attached to the fan outlet. We stock a range of AirScrubbers, hand portable or wheeled, with airflow capacities from 600 up to 5000 M3/hr. All machines will operate from a 110v supply and all models are "roll up, plug-in, switch-on". are used for suppression and capture of coarse and medium size airborne particulates, and are useful where there is a high dust-loading (e.g. blast-cleaning, demolition). The machines use a fabric "sock" or "bag" filter to capture and contain airborne particulates. They are most commonly used to address "nuisance" dust problems, and are robust and straightforward to use. Typical usage is in the construction and demolition sectors, for surface preparation and surface re-coating jobs, and in tank cleaning. The suction achieved by these centrifugal extractors allows the extraction unit to be used with flexible ducting - so the machine can be located some distance away from the contaminated area if necessary. 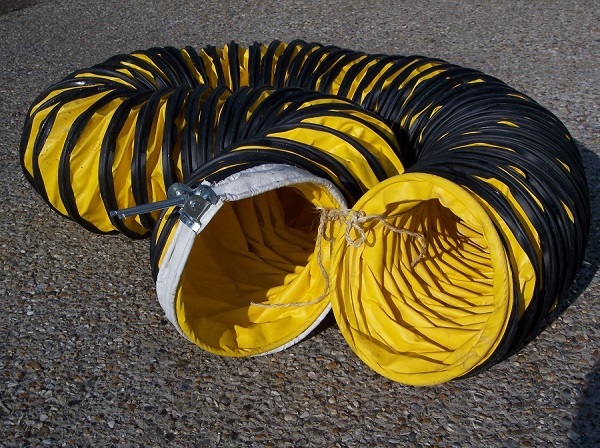 In addition to a range of hire equipment for fume, dust control, and ventilation applications we also supply flexible ducting compatible with our equipment. Standard stock sizes are 200mm and 305mm diameter, in standard lengths of 8 metres; capstan coupling bands are supplied to couple lengths together.